The kitchen area of Crocodile Cafe can also be seen from this walkway. 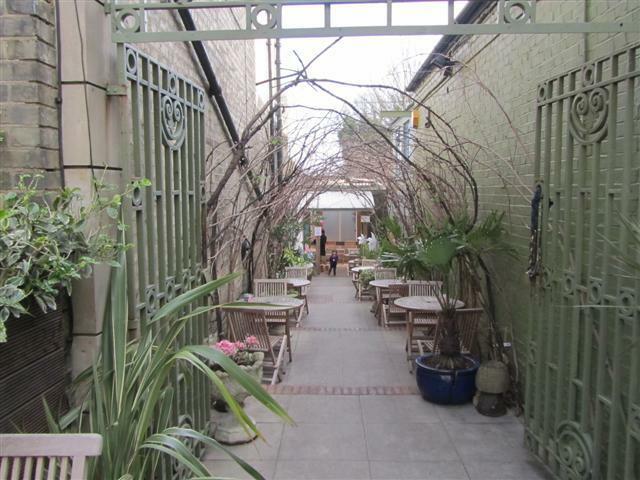 The pavement leads to a heated outdoor covered seating area on one side and the cafe entrance on the other. Crocodile Cafe has lots of cakes on display, including scones and fruit bread teacakes. Along the top of the counter fridge are a row of small jars displaying the many teas on offer. 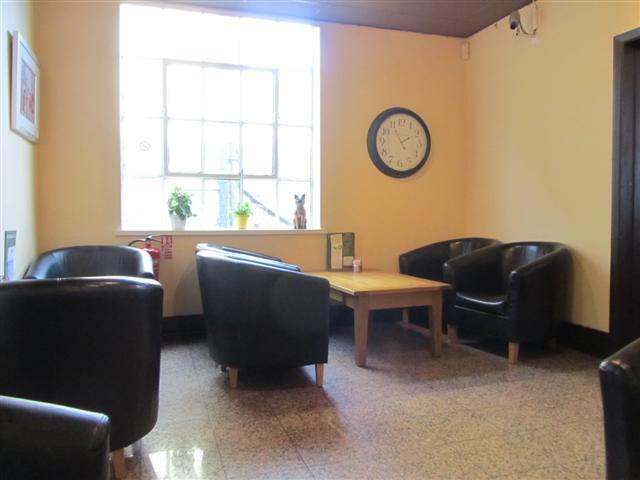 The cafe does hot food such as breakfasts, soups, paninis, soups, jacket potatoes. It also does sandwiches and milkshakes. At the Crocodile Cafe, you order at the counter, and then go upstairs to the seating areas. There are two areas, one of which had comfy seating. 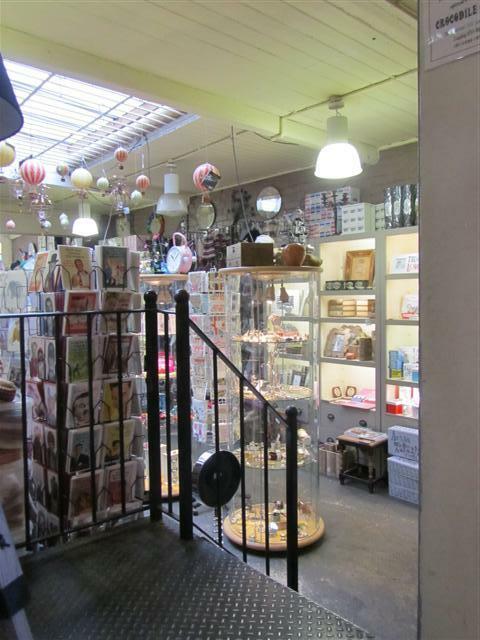 This area led to the shop. The staff were really friendly and gave service with a smile. 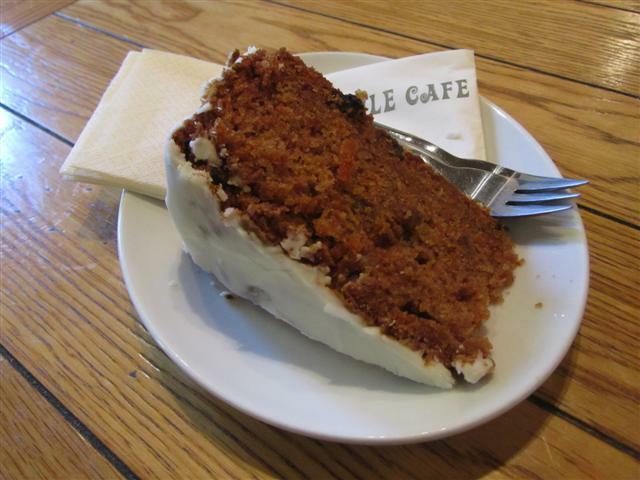 As we were indecisive on whether to go for the carrot cake or the apple cinnamon cake, we thought the easiest way would be to ask the staff. We went with their recommendation of the carrot cake. The carrot cake was a big portion, definitely enough to share. It was moist, with raisins and carrots. A really tasty carrot cake and it was nice that it only had a thin layer of the cream frosting. The tea was served by the pot. 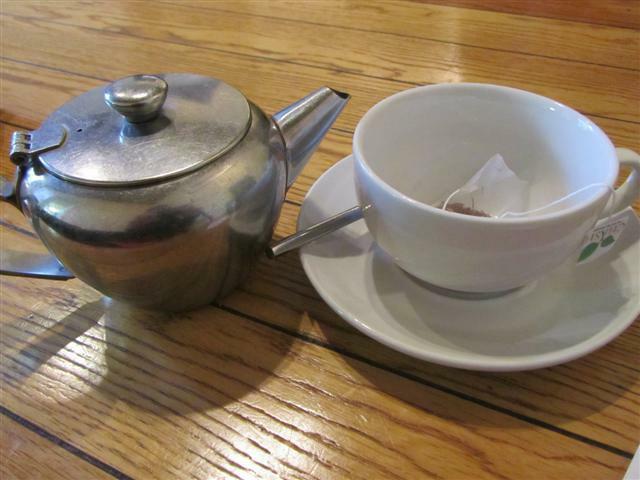 The vanilla chai tea was a lovely tea with the subtle flavours of the spices coming through. Crocodile Cafe has a really relaxed atmosphere, friendly staff and good quality food. 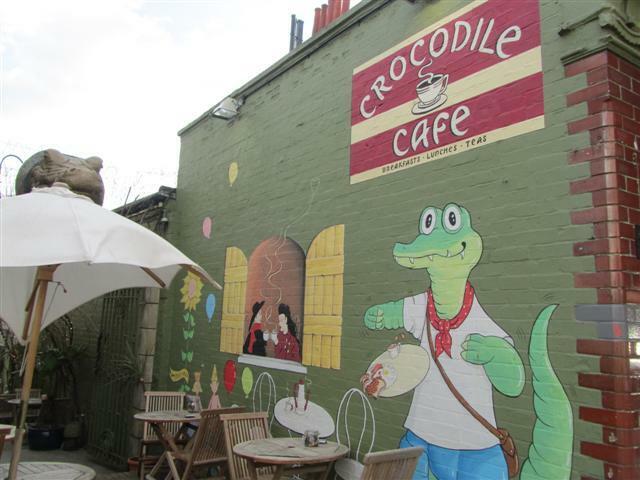 It is easy to spot the cafe by the painted mural of the crocodile on the side of the walkway.